I came across this book on Epic Reads’ Most Anticipated July Books. I’ve been looking for more Young Adult books that tackle mental illness. So when I saw this on the list, I decided to buy it. The novel opens with seventeen year old Stevie being driven to a treatment centre for an unknown reason. As the plot progresses, it is revealed that Stevie has an eating disorder, has been admitted to the treatment centre by her dad, and she is counting down to some “anniversary.” Stevie arrives at the centre which is described as more of a summer camp in appearance. Stevie is assigned a cottage which she will share with other girls and meets her therapist, Anna, lovingly labelled “shrink” throughout the novel by Stevie. This is a hard review for me to write because for the first time ever, I cannot decide whether I liked a book or not. That’s not to say it’s a terrible book, because it isn’t. There are many qualities that make this book great. I believe that it is very important to have books in Young Adult that tackle mental illness. Not only to help those going through the issues to find solace, but to give those who don’t, a little bit of education so that they are more understanding and able to help anyone they may know going through them. 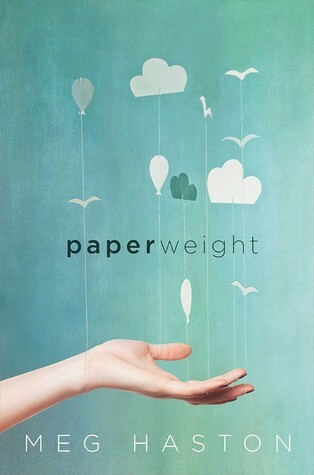 The topic of eating disorders was handled delicately and very well in this book. It was also a very easy read, I managed to get through it in two sittings. The Shrink – Anna – was a fantastic character who went above and beyond for Stevie. She never pushed Stevie too much but just enough to make her want to start addressing her issues. Anna made me think about all the therapists out there who work with young people, and how they are not recognized enough for the fantastic work they do every single day. There was a lot more mystery than I expected and the information was dealt out slowly.For example, the event the caused Stevie to develop this disorder and what this big “anniversary” is that she’s constantly addressing in the narrative. It keeps you very interested, which was probably why it didn’t take me too long to read. However, we come to the reason why I’m at a loss as to whether I actually enjoyed this book or not. Stevie is a horrifically unlikable character. It’s understandable that she’s volatile because she doesn’t want to be in the treatment centre, being in the centre interferes with her plans for the anniversary and she doesn’t want help. Stevie is so nasty in the narrative when she talks about the other girls in the centre. Everyone who’s a patient at the centre has a wristband of one of three colours. Stevie is very judgmental of the girls based on the colour of their wristbands. A section of narrative is focused on a “yellow girl” whom Stevie labels a “failure” and criticises her physicality, a “green girl” who is larger than the other is labelled “pathetic” and fat shamed, and a “red girl” who has feeding tubes attached to her is labelled “weak” and judged for not hiding her eating disorder well enough. These aspects of Stevie’s character made it really hard for me to feel sympathetic for her when more of her back story is revealed, especially the cause of her eating disorder and the mysterious anniversary. My dear readers, I am at a loss. I am so mixed about this book. Would I recommend it? Re-read it? I honestly can’t give an answer. Let me know if you’ve read it and whether you felt the same!